I hate summers..... summer that's truly a season of hot days, humid climate and sweating bodies specially from May till late July in Pakistan where temperature often hit at the peak of 50C in some regions. Fortunately, the city where I live is not from those top warmest cities, but temperature here rises at 45C, that's still quite hot. Well whatever the temperature is thought of refreshing summer drinks in hot summer afternoon is something that makes it more bearable. 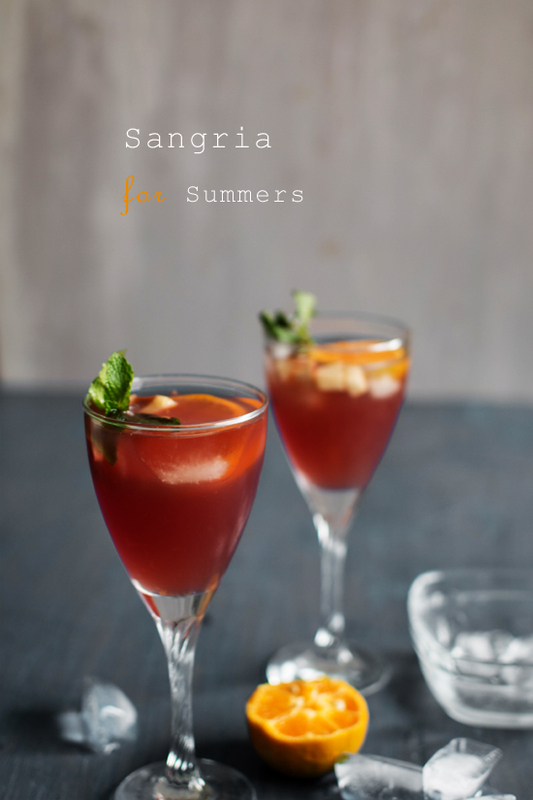 Sangrias are popular choice of drink especially during weekend, a sweet, tangy and chill drink gives a refreshing feelings under a simple running fan even. 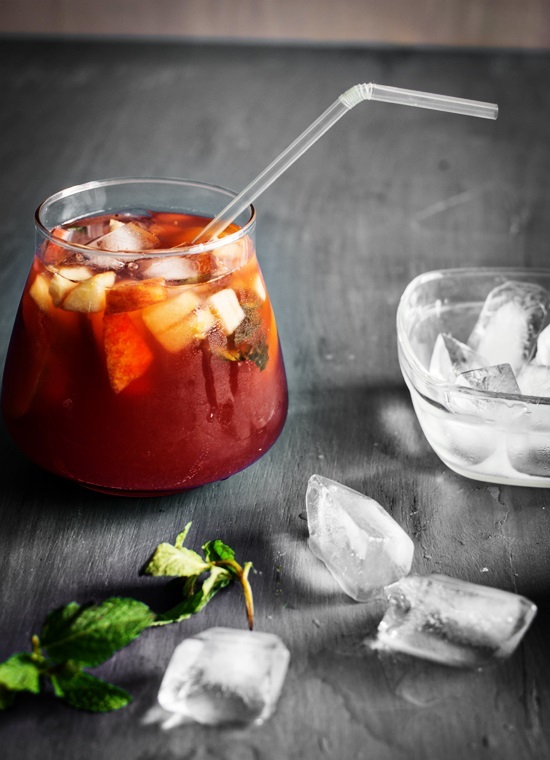 Sangria is a wine punch typical of Spain, Portugal and Argentina. It normally consists of wine, chopped fruit, a sweetener, and a small amount of added brandy. 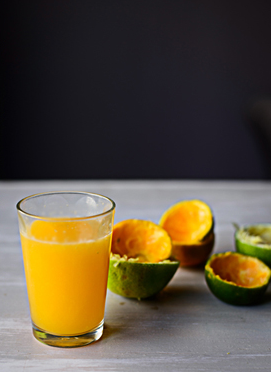 Chopped fruit can include orange, lemon, lime, apple, peach, melon, berries, pineapple, grape, kiwi and mango. A sweetener such as honey, sugar, syrup, or orange juice is added. Instead of brandy, other liquids such as Seltzer, Sprite or 7 Up may be added. but as we are Muslims (not a Spirit or alcohol person) so I keep finding way to make cool drinks without any type of alcohol. One by one add everything in the pitcher and keep it refrigerated for sometime. While serving add some ice cubes, garnish with mint leaves and serve chilled.